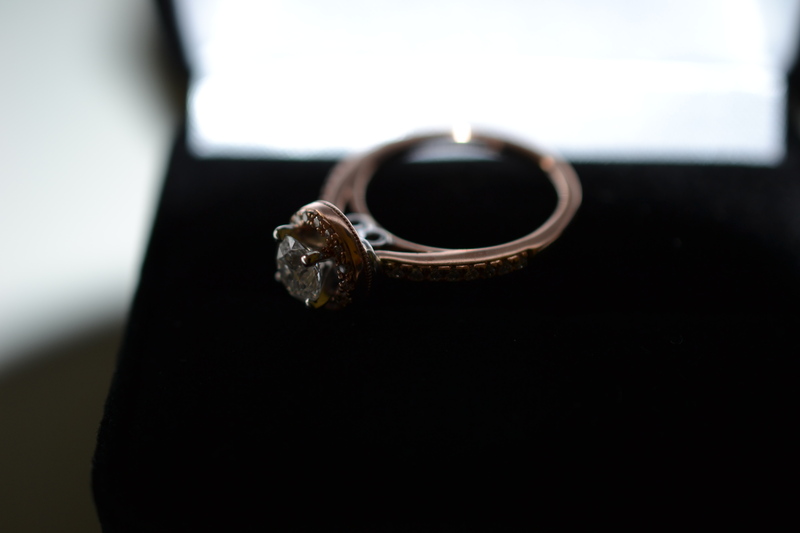 This ring can be resized up to a 6.5. It has a matching wedding band. 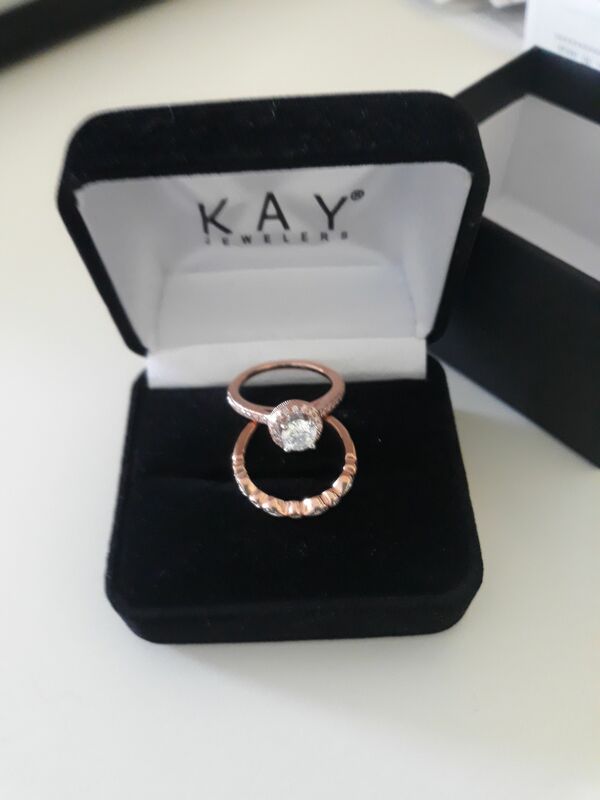 The engagement ring is rose gold with .5 carat diamond surrounding with halo diamonds and diamonds along both sides of band. 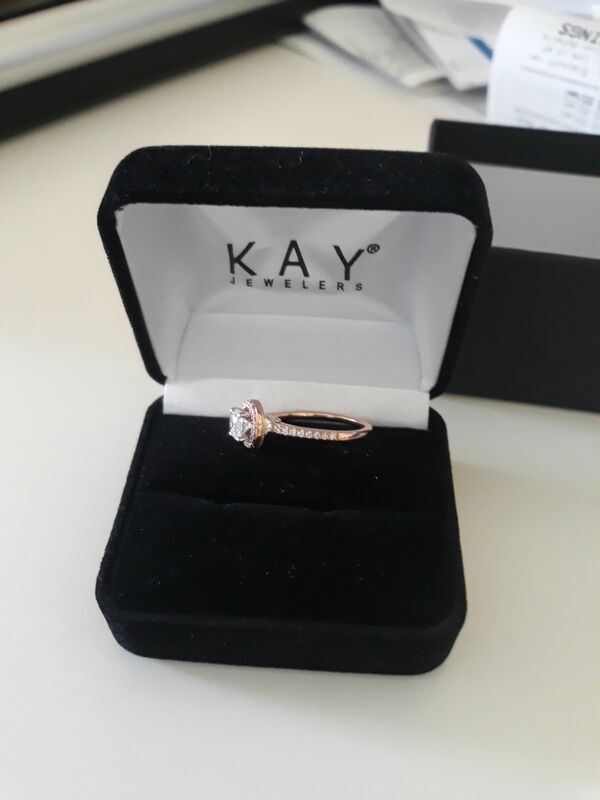 The wedding band is rose gold with graduated diamonds ranging from small to large along the sides. Neither ring has ever been worn. These rings were bought in August 2018 and things just didn't work out.